Ukraine has faced a number of challenges that threaten the future of our state. This is not only the ongoing war in the Donbass, de-industrialization and poverty. Today we should talk about the crisis of the perspective, which is manifested in many aspects: a crisis of confidence in power, relations between the center and regions, growing political confrontation, historical and linguistic contradictions, mass labor emigration. Although these challenges are of a different nature, they are catalyzed by the current management system based on intolerance and pressure on opponents, corruption and abuse in power. The Opposition Bloc insists on the need for constitutional reform. We raise the issue not about moving the “signing authority” between the Verkhovna Rada and the Presidential Administration, but about complex changes in state power both horizontally and vertically. The sad experience of the so-called “decentralization” of recent years demonstrates that cosmetic changes lead to a worsening of the situation. In fact, the “decentralization” carried out by the authorities is a fiction. The dictatorship of the center has gone nowhere. Instead of rights and powers, communities and regions have received new holes in the budget, and the population – a decline in the quality of life. The share of local budget revenues (without transfers) in the consolidated budget decreased from 23.6% in 2013 to 22.6% in 2017. That is, the real fiscal autonomy of local budgets has worsened, and not improved, as the power says. Against this background, the volume of non-financed expenditures, delegated to the local level from the center, has grown exponentially. 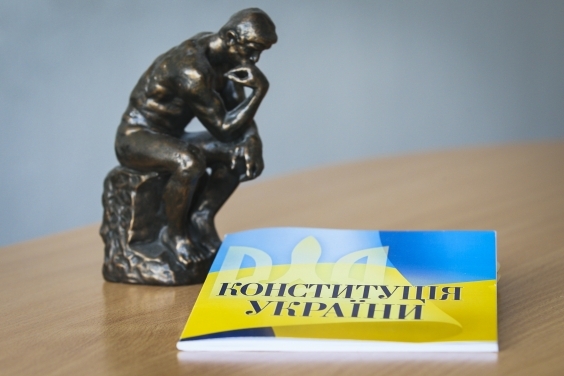 Therefore, in 2018, according to the Association of Ukrainian Cities, the educational subvention is underfunded by UAH 4.4 billion, and the medical one is financed by 66% on the needs. Communities and regions again turn out to be petitioners who beat the thresholds of the Kyiv offices. The central authorities again use a financial noose to impose beneficial solutions for themselves. The peaceful settlement of the conflict has been suspended. The Minsk agreements, signed by the current authorities, suggest a concrete solution of the issues on the status and powers of the regions. The longer the war continues, the poorer and weaker the Ukrainian regions and communities. The answer to these challenges is obvious. It is necessary to stop transferring responsibility to the regions and give them real powers at the constitutional level: the right to form their own executive bodies, direct participation in the definition of the state budgetary, tax, social and cultural policies. This will allow returning the regional elites to the nationwide political life, stopping the process of “isolation” and the appearance of any “amber”, “forest” and other “republics”. It is necessary to accept the diversity of Ukraine. This is a huge advantage of our country. It is important to strengthen the institutions of representative democracy, to make the final choice in favor of a parliamentary republic. As the national experience shows, the institution of the president does not perform the function of an arbitrator. On the contrary, it often acts as a factor of increasing conflict. That is why we propose to radically expand the powers of parliament and government. Of course, this is only part of the problems that can and should be resolved in the process of updating the Constitution. We believe that today there is still a window of opportunity to achieve political consensus on the Basic Law, which will allow our country to become a peaceful, successful, comfortable, safe and decent home for its citizens.